Adding a painted blackboard to your kitchen design is both an unusual and practical idea. It can be used to write messages to your family, grocery or homework lists, recipes etc. It’s a cute tool for communication in a busy household. This kitchen utilises the whole pantry wall as a blackboard. It is the pivotal design feature in this space. 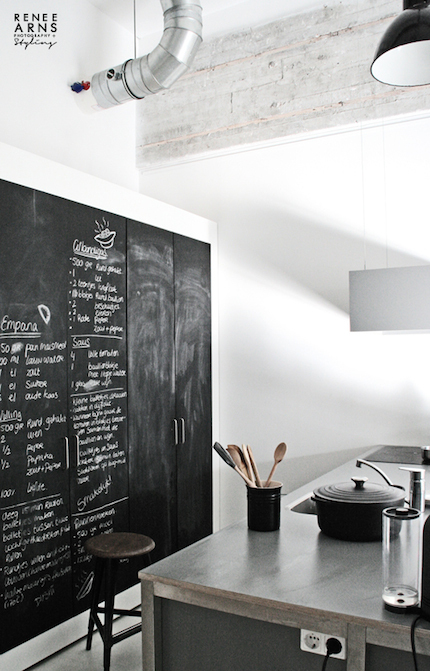 Kitchen blackboards can also be used as a splash-back in the kitchen, on a door or spare wall in the kitchen space.